I arrived at Muir Ranch, just after 9:00 a.m. on a Monday morning. Their indoor space was already stacked with boxes and crates full of fruit and vegetables waiting to be split up into that day’s CSA shares. Students trickled in and began bagging peas, lettuce, and broccoli. A couple of women were there parsing the 10 half shares they would be taking back to their school. Before 10:00 a teacher from a local elementary charter school arrived with her students to harvest kale and then put together the CSA (Community Supported Agriculture) shares that would be distributed on their campus. By spending just under an hour observing on a CSA distribution day, I learned that Muir Ranch is a lot more than meets the eye. I subscribe to their CSA and know that many others do as well. Every Monday afternoon, the table and cart are stacked with bags and boxes all waiting to be picked up by subscribers. There is a second distribution day at two others sites on Thursdays. What I didn’t know was that they also supply “satellite” CSA sites with Muir Ranch and local farm grown produce. The Pasadena Unified School District (PUSD) subsidizes 50 half shares that are distributed equally to five PUSD schools and distributed to families via the Healthy Start program. Families who receive the produce receive information about the food they receive each week, getting cooking demonstrations and recipes for the produce. The teacher who came with her students to harvest kale takes CSA shares back to her school and sells them to help fund the garden program at her school. There are other similar “satellite” CSA sites in the works as well. 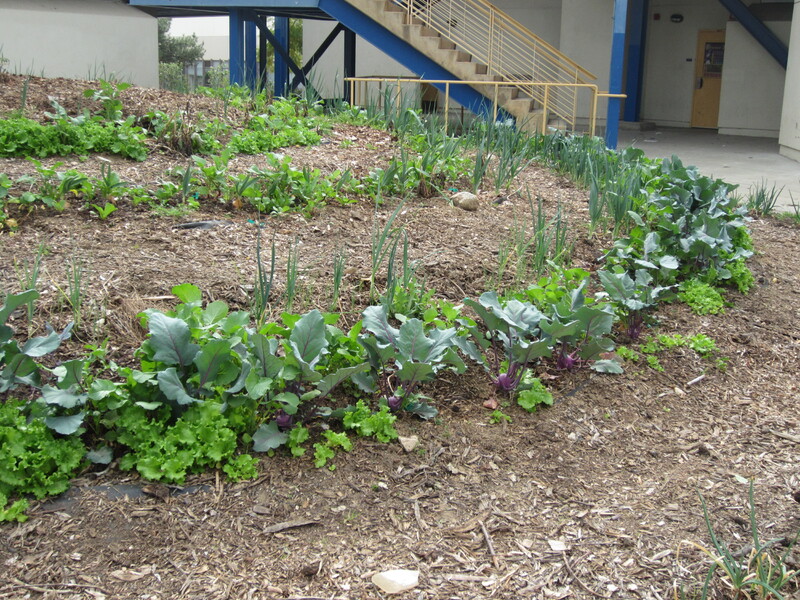 How it works: Muir Ranch is a small farm located on the campus of John Muir High School in Pasadena. Some of the produce included in the shares is grown at the Ranch and the rest is bought in bulk from a handful of other local farms. Every Monday and Thursday morning the produce arrives and is harvested from the Ranch and divvied up into all the shares and for the satellite sites. In addition, Muir Ranch grows flowers and has a flower bouquet CSA. The CSA program supports the Ranch’s student internship and education programs. I think this model is really interesting in that it benefits Muir’s immediate community while also reaching beyond the Muir campus. 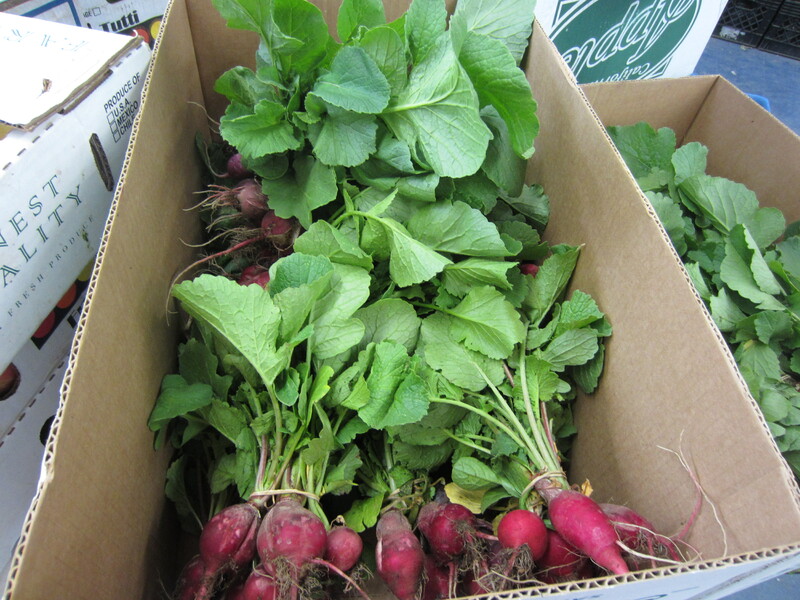 Currently Muir Ranch has 160 CSA subscriptions, which allows them to break about even. Ideally, the ranch would like to manage 500 shares. With that many subscriptions they would have enough revenue to fully fund the teaching and internship programs for the high school students, which would include a culinary component. Muir Ranch was recently approved to accept Electronic Benefit Transfer, a system by which people who receive government benefits can transfer funds to retailers. 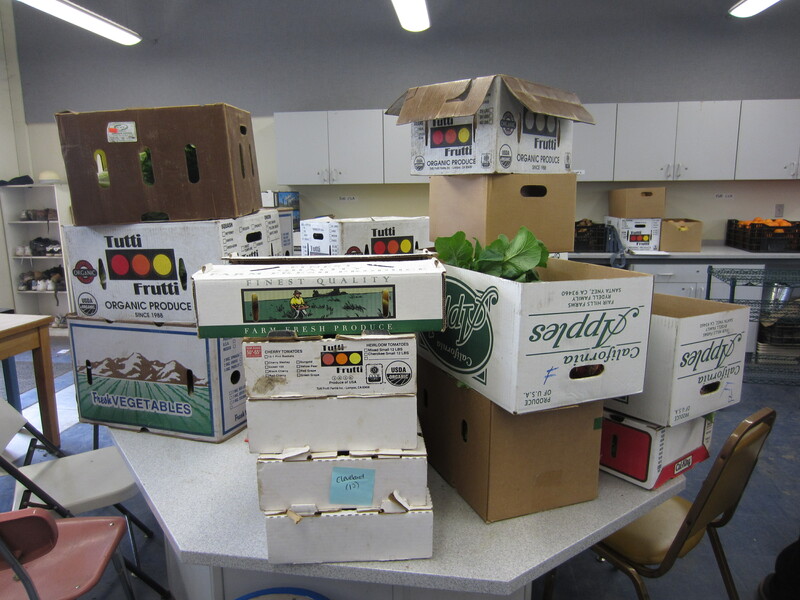 The hope is that this helps more families access the fresh, organic produce and distributed on the Muir campus. I love school gardens. I think they add to a school community and learning environment in so many different ways. They are also creative spaces. 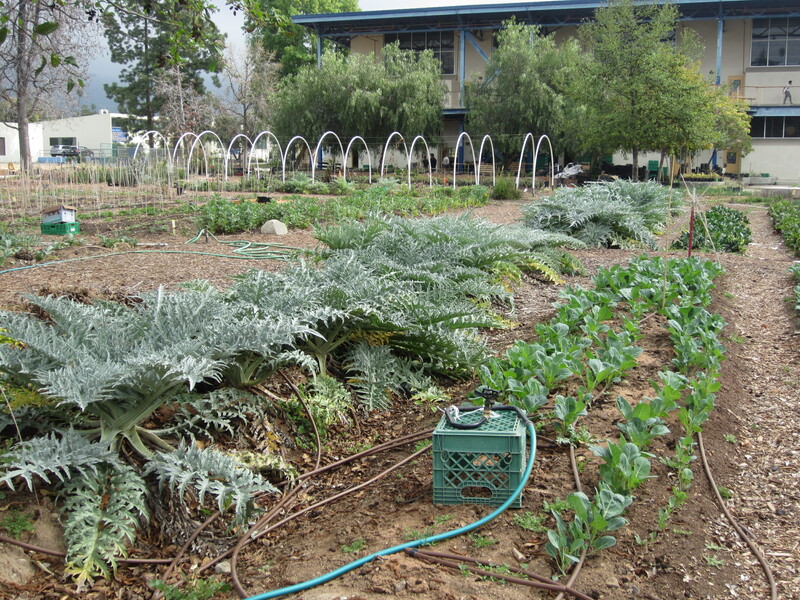 John Muir’s Muir Ranch, which started just a few years ago as a small garden, is really a school farm and takes school gardening to a new level. There are so many facets to this organization and its programs there is no way I could do them justice in one blog post. Today I talked about the CSA, but there is so much more to say. Stay tuned for more stories about the Ranch. 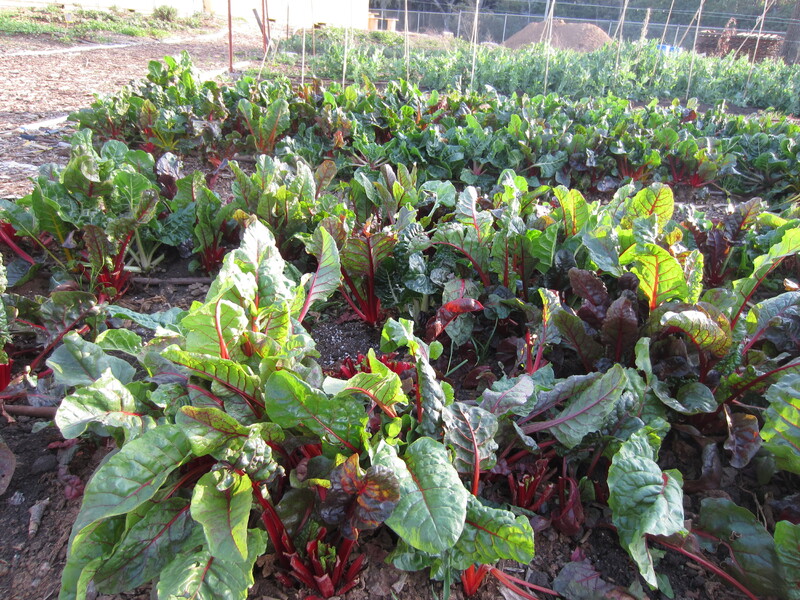 If you live, work, or play in the Altadena/Pasadena area and would like more information about CSA subscriptions at Muir Ranch visit their website or contact Erika at: johnmuircsa[at]gmail[dot]com. I had no idea this existed! What an awesome program! What an interesting and excellent model. demonstrating to the world that it works! Awesome, and yes a great model for other communities! Great article. We currently get my produce delivered by Love Delivery, not a CSA, but a company that buys whole sale and redistributes local produce throughout Los Angeles County. Seeing what Muir Farm is doing has me thinking I might be missing out on something. Thanks. I’m glad you wrote this up, it’s very inspiring. Hope they can reach their goal of 500 shares!